Pain is defined as "an unpleasant sensory and emotional experience associated with actual or potential tissue damage, or described in terms of such damage"
Nociceptive pain may be divided into "superficial" and "deep", and deep pain into "deep somatic" and "visceral". 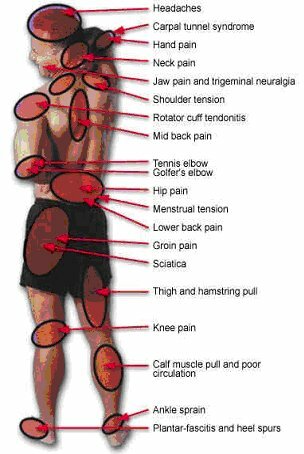 The goals of treatment are to reduce chronic pain and increase your ability to function. IMS (intramuscular stimulation) ,acupuncture ,meditation.